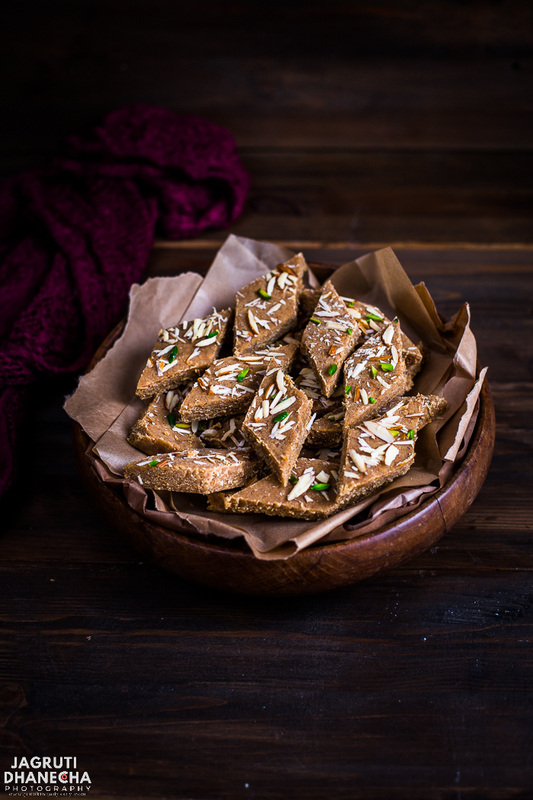 Sukhdi, Gor Papdi or Gur Papdi whatever you may call it, this simply delicious and divine sweet is sure to make an impressive addition to the repertoire of your authentic recipes! This traditional and authentic delicacy from Gujarat is one of the common and frequently made sweet dishes which is made of staple ingredients such as whole wheat flour, ghee and jaggery. It is rich, filling and surely provides a lot of energy. 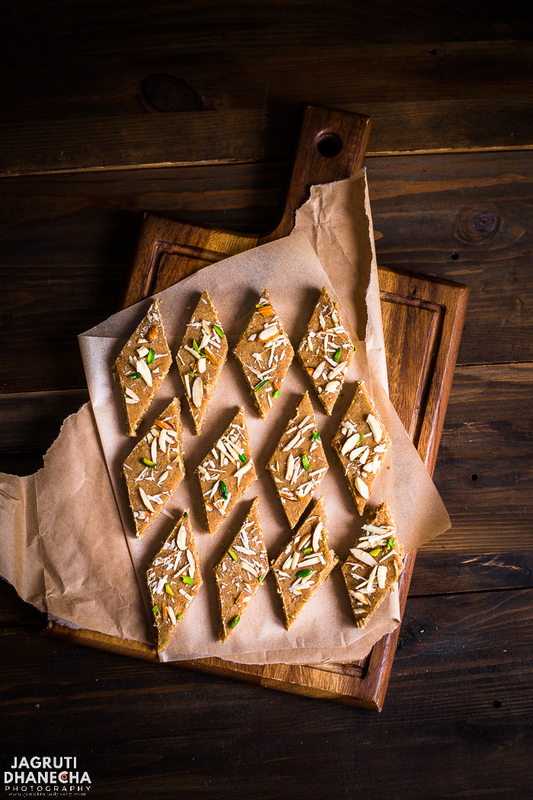 In Gujarati, SUKH means happiness and generally, sweets are prepared on happy occasions :) In the word GOR PAPDI, Gor translates Jaggery and Papdi means Thins, as the main ingredient in this dish is Jaggery. 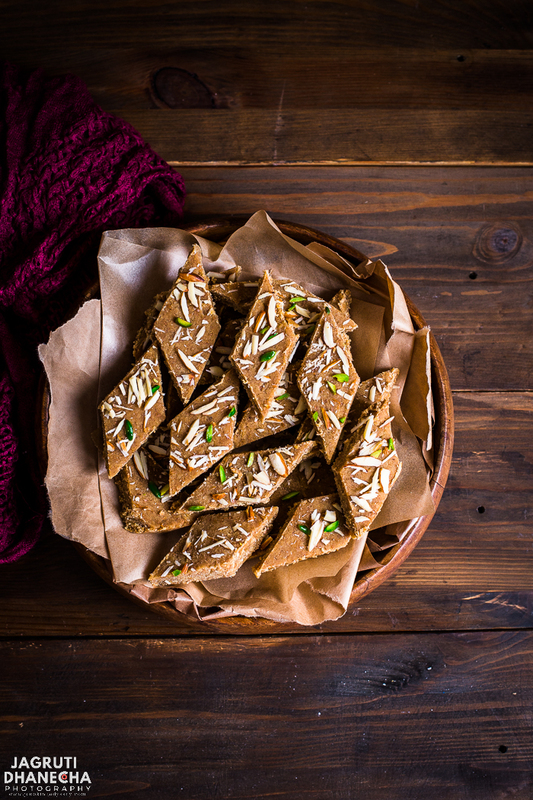 Sukhdi is a jaggery bar or fudge, and one of those dishes which can be made in a jiffy, fuss-free recipe and can be done with those basic ingredients which are easily available in Indian kitchens. Sukhdi is also one of those sweets that can stay fresh for a longer period thus it is known as a picnic, travelling or lunch box item. According to many Indian health experts, Sukhdi is considered as healthy sweet or snacks for growing up children as these bars or fudge prepared with wholesome ingredients such as wheat flour, ghee and jaggery, as compared with plain flour biscuits or chocolates. In Gujarat, a place called ' MAHUDI', Mahudi Derasar ( Jain Temple) is considered to be one of the most sacred Jain pilgrims, however, anyone can pay a visit to this temple anytime. At this temple, this strict tradition has to follow that ONLY sukhdi can be offered as prasad ( offering to God ) and that too, made at the temple premises and the same Prasad is to be consumed and shared within the temple premises with other devotees, also strictly forbidden to take Prasad out of the premises. I have been lucky to visit this temple a couple of times when I was a very young girl and I remember that divine taste of the Sukhdi, which is considered to be the best! A basic and traditional recipe prepared with whole wheat flour, ghee and jaggery, so simple. Keep these three ingredients as a base and you can add and swap the mix-ins according to your preferences and that will yield different types and flavours of Sukhdi. For a sweet and aromatic flavoured Sukhdi add cardamom or nutmeg powder. Add nuts powder such as coconut, almonds or cashew, for a fruity twist add dried dates, figs or raisins or for a strong and robust taste add Goond (edible gum), dried ginger powder. Usually, Sukhdi is set in a tray, then cut into square or diamond shape or can be served warm in a bowl too, which can be scooped. For a basic Suskhdi recipe you will need three basic ingredients and all of them are necessary. Flour - You'll need whole wheat flour also known as Roti Ka Aata or Chapatti Aata. Usually, fine roti flour is used in this recipe, but I have seen many uses coarse whole wheat flour too. I always use wholemeal roti aata which is packed with wheat bran thus my Sukhdi appear darker brown. Ghee - For an authentic taste, dairy ghee is vital but again I have seen people using vegetable ghee ( Dalda) as in India pure dairy ghee is expensive, however for vegan recipe vegetable ghee works fine here. Jaggery - Jaggery 'Gor' in Gujarati and 'Gud' in Hindi, available easily in any Asian food shops. Health experts giving us countless benefits of jaggery, when used in moderation. In the market various types of Jaggery is available. Organic and Desi jaggery are in darker colour, also very pale yellow colour jaggery available too, according to health experts this pale yellow jaggery is adulterated, however, any type of Jaggery can be used for making Sukhdi. Grease a tray or baking pan with ghee or unflavoured cooking oil or spray. Heat ghee in a heavy bottom kadai and add flour. On a very low heat fry the flour, keep stirring until nicely roasted brown but not burnt and it releases its aroma. Add grated jaggery and quickly mix everything. Pour the mixture into a greased thali and pressed evenly. Let it cool for five minutes then cut into the desired shape. Like Blog Hopping? 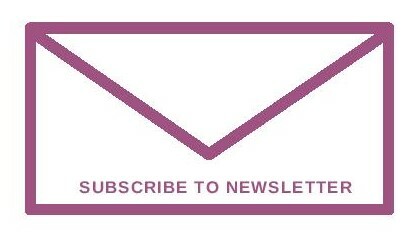 Join our wonderful and active group 'Desi Bloggers Connect'. 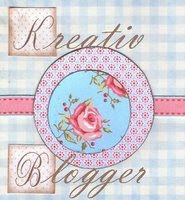 The group is created for like-minded bloggers who are serious about their blogging. A traditional Gujarati recipe that tastes delicious and divine, prepared with staple ingredients such as wheat flour, ghee and jaggery. Grease a thali or baking tin with flavourless oil or ghee. In a heavy bottom pan or kadai heat ghee and add flour. Roast on a low heat till turns golden brown and you can smell the sweet roasting aroma. Be careful not to burn the flour. When the mixture comes together add the grated jaggery and mix very well. Take off the heat and spread the mixture evenly in a greased tray. Sprinkle almond and pistachio slivers and press it well and cut into a diamond shape while it's warm. After adding the jaggery, turn off the heat straight away. * You can use jaggery powder too. **Instead of Ghee one can use unsalted butter too. *** Not an almond fan, use cashews instead. Now it's awards and Tohfa time....word Tohfa reminded me of one of the film "Tohfa"...loved all the songs from that movie. I've been flooded with lots of awards!!! 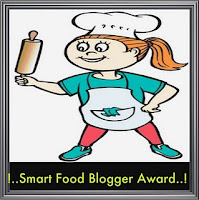 thank you so much for sharing awards with me guys... they mean so much to me....you all have a wonderful blog and great collection of recipes...all working hard, please visit them regularly !!! Thanks Malar, Sarswathi Iyer, Swapana and Aruna Devi !!! Thanks LE Bouffe, Ganga, Jisha Dil, Devi Meyyappan, Kalai, Siddhi, Neetz and Swapana !!! Thanks Swapana,Aruna Devi, Nithu Bala, Malar and Siddhi !!! Thanks Vinolia, Swapana, Aruna Devi and Cicily Antony !!! Thanks Malar, Swapana, and Aruna Devi !!! Thanks Le Bouffe, Subhashini, Deepa, Nivedita, Cicily Antony, Ganga, Jisha Dil Devi Meyyappan, Swapana, and Aruna Devi !!! Sharing with all my friends!! Thanks Aruna Devi, Lebouffe, Subhashini, Deepa, Cicily Antony, Sara's Corner, Swapana and Devi Meyyappan !!! Sharing with all my friends !! These below three love awards shared by Sugarplum fairy from Vanillastrawberryspringfields !!! If you are happy to share these awards with me then please accept them !!! Enjoy it as much as my family did !!!! Note:- This post was originally posted in February 2010 but I have updated the post since with newer photos and content. Very healthy sukhdi (godpapdi)..with tons of all deserved awards..Congrats Jagruti!! A milestone achieved....many many more to accomplish. Hey Jagruthi! congrats on all ur awards and wishing u many many more to come.Just keep rocking.congrats on ur 50th post.The sweet is absolutely delicious and yummy. Congrats for your 50th post and all the awards, sukhdi is healthy and delicious too. Congrats on your 50th post. and All the best for next many multiplied by N numbers. Hey I love that GULPAPDI too. Congrats on the 50 and head fast towards a century. Hit many more 4's and 6's...and many more awards. hey congrats on your 50th post..love the gul papadi..and congrats on all your awards..all very well deserved. Congrats on ur awards.........This dish looks good and healthy. Fitting Tofas for a 50th post celebration. Enjoy. Never heard of this before.... looks great! Congrats on ur awards and the 50th post! Jagery fudge sounds easy to prepare.Going to try today itself. @ Pari; I am a new batsman..;-))just keeping myself on a pitch..you all are allrounder in this field..lol..hahahaha!!!!!!!!!! Congratulations on your receiving so many awards. 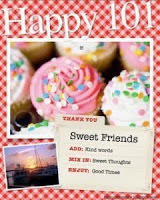 Congrats on your 5oth post .Wishing you many more posts and a speedy time to a century. The sukhdi looks yummy, never made it before but will surely try it. The appam pan I bought from popat food stores in ealing road wembley. Very healthy and delicious fudge...looks very tempting...congrats on your 50th posts and al your awards :) Keep rocking! Great job, Jagruthi on reaching this milestone!!! COngrats Jagrutiiiiii.......fudge simply looks awesome!!! Congratulations on all these awards! I am very interested in the recipe as well, it sounds too delicious for words~ and crunchy, which I crave! My husband is a lover of jaggery! If he sees this, he'll drool so badly! Ha! Ha! Congrats on the awards and the 50th post! congrats dear....congrats on all ur awards too...dish looks superb! Heartiest congratulations for your 50th post and for all your lovely awards. Keep it up! The sweet looks delicious and tempting. Congratulations on ur 50th post dear!!!!!!! happy 50th post! I definitely am glad you started this blog...now I get to see all of this delicious food! COngrats on the awards...you definitely deserve them! 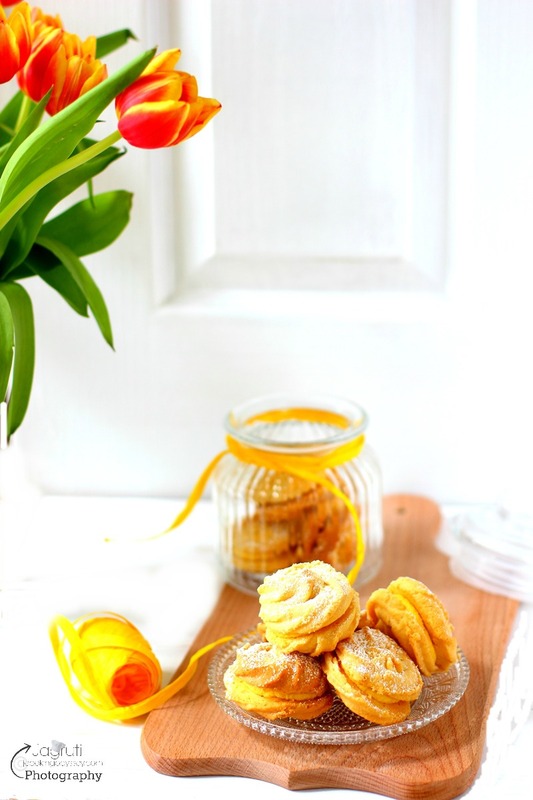 Congratulations on your 50th post!I came across your site from the foodieblogroll. I'd love to guide foodista readers to your site.Just add your choice of Foodista widget at the end of this blog post and you're all set. Thanks! hey...congrats on your 50 th post !! many congrats for getting half century,hope you can achive at least triple century like Sehwag,you have many great recipes and one hopes for even more from you. Wow, shower of awards! Congrats Jagruti! Also congrats on the half century. Wish you many more. The sweet looks so yummy! Hope u r doing fine :) I missed many of your posts, with try to catch up soon...congrats on your 50th post & well deserved award!Jagery fudge sounds interesting & Yum. Congrats on ur well deserved awards&the 5oth post dear. Congrats on ur 50th post and all ur awards dear.Keep going.Jaggery fudge is interesting..
Congrats on ur 50th post...way to go!!! Congrats on your awards dear and reaching the 50th post the Shukdi looks very tempting!!! I took little happiness from here. How pretty and prefect those sukhdi looks, i still remember the taste of yours sukhdi coz i had a chance to taste them, do you remember Jags. And those diamond shaped sukhdi looks absolutely stunning. Thanks priya for a lovely comment. Yes I do remember, I hope you guys had enjoyed it :) Let's meet again, so I can bring again for you lovely guys. Many congratulations to your first half Century Jagruti. Perfect texture, color and shine!!! Love gud papdi and yours looks so delicious! Being from Gujarat I have tasted gor papdi many times and loved this everytime. Sukhadi so much reminds me of my grandmother. She use to love it and would ask my mum to prepare it ever so often. I like your idea of adding some nut powder with the flour. Omg just 4 ingredients for such a delicious recipe?! They seem so simple too:) Love how you have photographed it! Gur papadi looks so good , so apt for winters after a comforting meal!! Nice clicks!! Sukhadi looks absolutely delicious and healthy. I like Recipes with fewer ingredients . Bookmarked it. Thanks for sharing . Goji Berries, Mushroom and Sweet Potato Soup !